The Beli Iskar Village is located at the foot of Musala Peak with its incredible nature offering best opportunities for the development of ecological and rural tourism. Beli Iskar is situated at an altitude of 1130 meters. 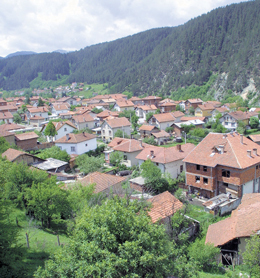 The village boasts of the most strategic location in the Rila Mountain. Many attractive routes start from here to the 2 925 m. high Musala peak – the highest peak on the Balkan Peninsula, Malyovitza, Vada villa, the Seven Rila Lakes, Chakar Voyvoda, Yastrebetz, Granchar villa, the palace of Tzarska Bistritza and Borovetz. Ancient fountains and wells of historical interest are preserved in the village like Voynishkoto Cheshme ("the soldier's fountain), Kadan Kladenetz (the wifes' well) and Belyov Kladenetz (Belyo's well). A great historical landmark is the Demir Kapia which had become the scenery for the most crucial battles during our nation's Liberation from the Ottoman rule. 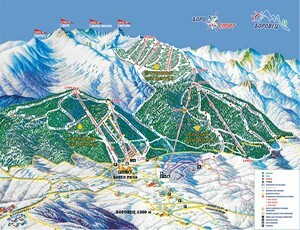 There is an idea still growing to build ski lift and pist to connect the village to the Yastrebetz peak. The Uspenie Bogorodichno (Assumption of the Virgin Mary) church was built in 1847. This church has also its own history. According to the village legends the wedding of the famous Bulgarian poet Yavorov and his beloved Lora took place here in 1912. Later the nearby Kamenna Koliba cave became the venue where Yavorov met the national hero Yane Sandanski to make their plot against the Ottomans. This cave is 5 km south from the village. The Central Rila Reserve starts at 1 km above the village. This is the largest natural reserve in Bulgaria and one of the largest in Europe. It was created to conserve the forest, subalpine ecosystems forming a unique natural complex. The preserve is spread over 12 393,7 ha area embracing large territory around Beli Iskar and the Musala summit. The village's local travel society is named Beli Iskar. Its main objectives are fostering and contributing to the sustained development of tourism in the area of Beli Iskar and developing the region as a tourist and resort center. The Society is organizing every year the traditional Rila Cabbage Pie holiday (in Bulgarian this specific cabbage pie is called zelnik) and the Rock in Rila fest. Borovetz – the best place for skiing in Bulgaria! 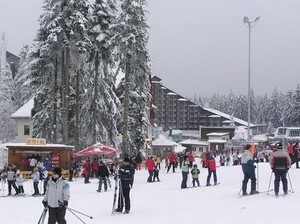 Situated at 1300 m above the sea level on the northern mountain slopes of Rila, at the very foot of the peak of Musala Borovetz is the largest winter resort in Bulgaria. 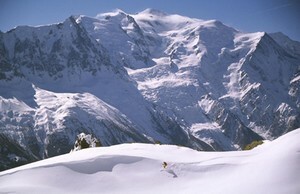 The pistes of 58 km total length are all well treated and safe. 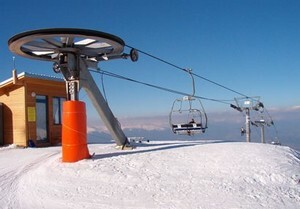 The lift facilities are recurrently renewed – this year a new 1000 m long four-seat chairlift Markudjik-2 with capacity of 2400 persons per hour was launched to replace the former platter lift. 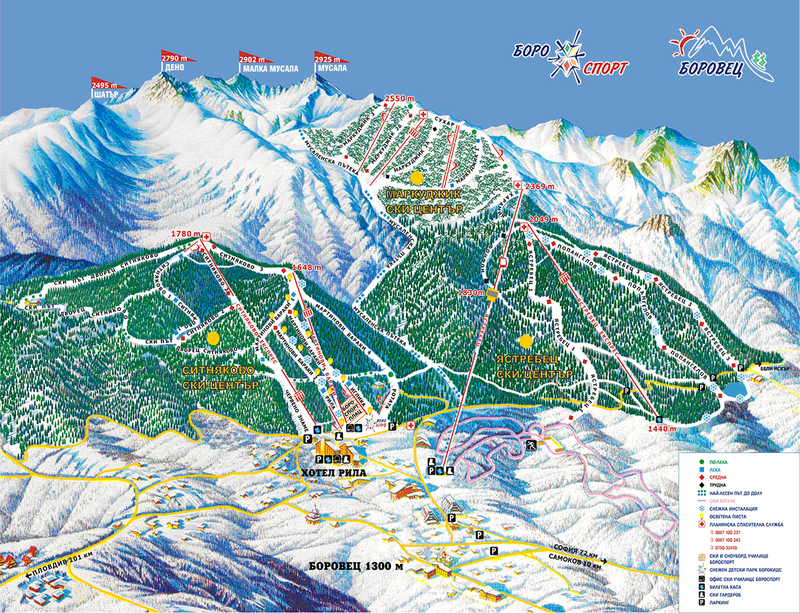 Other novelty for the 2008/2009 winter season is the artificial snow system covering an area of more than 200 decares of the Yastrebetz-3 piste and the Popangelov (ex-Yastrebetz-2) piste. 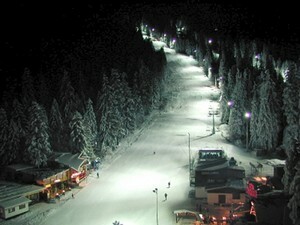 The pistes in front of Rila Hotel are equipped with artificial snow and night skiing facilities. Borovetz provides the ideal conditions for skiing, snowboarding, cross-country racing or just a winter relax amidst the natural scenic beauty of the pine forest.